TheÂ much anticipated 3rd season of the hit NBC series, HANNIBAL, is said and done. Not only the third season but the series finale as well.Â Thomas Mariani, Dave Dreher, Christopher G. Moore and Doc Rotten gather to provide a season – and series – wrap up complete with laughs, gasp, tears and man-hugs. Hannibal Season 3 is destined to be remembered as the best of the NBC series with some of the most creative, disturbing and incredible horror on television today. The first half of the season focuses on Hannibal on the run as he and BedeliaÂ Du Maurier take an extended European vacation – of bloody proportions. 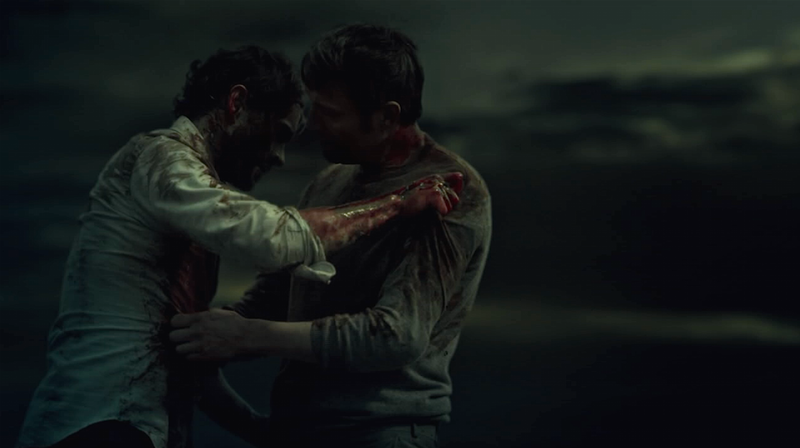 All the mysteries of the second season are answered and the first half collides with Mason Verger, resulting in that character’s demise and Hannibal’s capture. The second half of the season introduces and follows the Great Red Dragon, featuring an extraordinary performance from Richard Armitage asÂ Francis Dolarhyde. Thomas, Dave, Christopher and Doc remember the season, highlighted the most gruesome, fascinating and frightening moments.